Swamp Rabbit Railroad is a modern folk duo that carries on the rich tradition of folk music, while adding to it. This husband and wife duo is know for it’s stand out vocal harmonies, which can easily be compared to Simon & Garfunkel. They perform a refreshing range of original songs influenced by songwriters such as Bob Dylan, Paul Simon, and Leonard Cohen. Swamp Rabbit Railroad represents the tradition of American folk revival music established by artists like Woody Guthrie, Bob Dylan, and Paul Simon, while also creating innovative and socially-pertinent tunes in the modern folk style. Like folk songwriters of the past, this husband and wife duo seeks to be a voice for its generation. Their original songs come from an honest place and are performed with real conviction. The Casons’ unique blend of harmonies creates a haunting and beautiful sound that captures the essence of the foothills in which they were formed while their onstage chemistry captivates the attention of any audience. 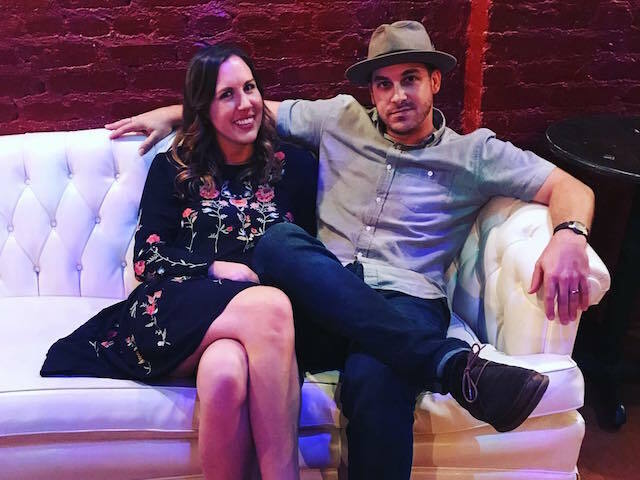 Forming in 2010 in the foothills of the Blue Ridge Mountains as the Swamp Rabbit Trio, Tyler and Lauren Cason found that their chemistry in marriage carried through into their songwriting and musical composition. The couple met while studying music, and both have Master’s degrees in music. The group emerged in 2015 as Swamp Rabbit Railroad—the name being influenced from the vast history of South Carolina—and have since performed numerous shows across the southeast. In the fall of 2017, Swamp Rabbit Railroad had the opportunity to record a spiritual folk album entitled Down by the Riverside in a historic church in Upstate South Carolina. Produced by Nashville artists/producers David Mullen and Akil Thompson, the album is currently available on most major listening platforms. The duo also has full sets of original songs that they plan to record in the near future.